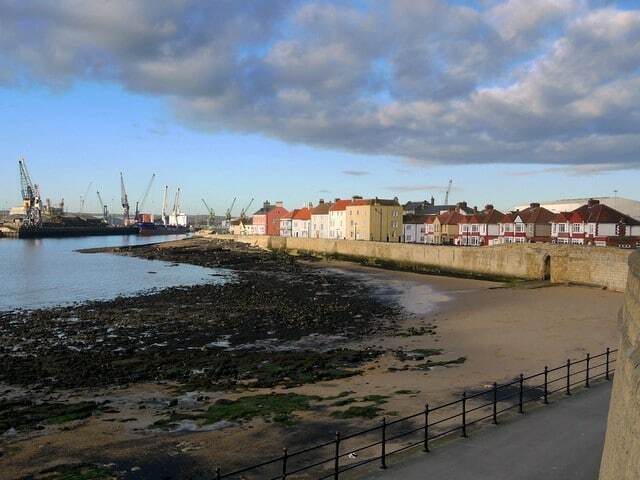 A port town on the North Sea with 1,400 years of history, Hartlepool was born around a 7th-century monastery. By the 19th and early 20th century Hartlepool had become crucial for its shipbuilding industry and because of this the town was a victim of a rare bombardment by the Imperial German Navy in 1914. 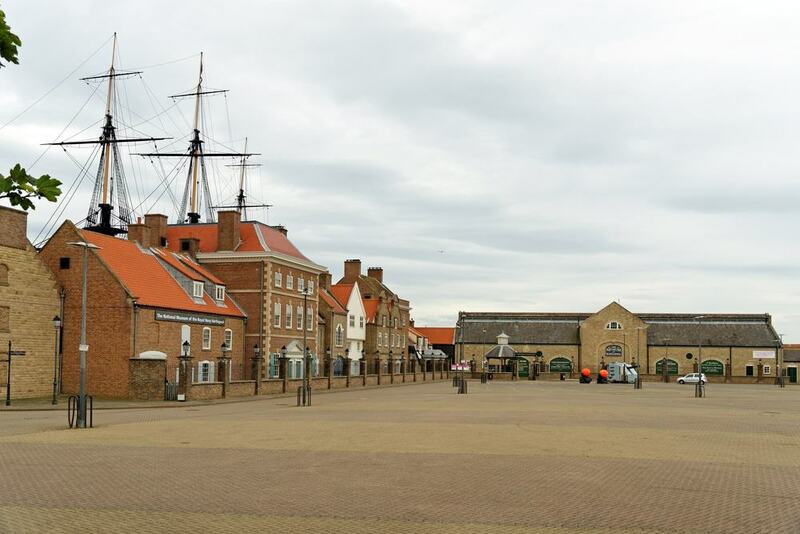 Following the departure of heavy industry, Hartlepool’s harbour has been revitalised with an outdoor quayside museum, where you can visit HMS Trincomalee, the oldest British warship still afloat. 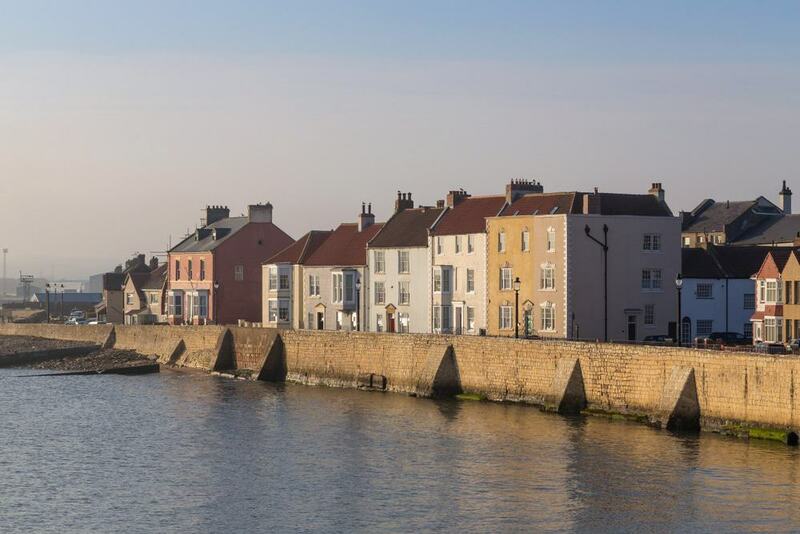 There’s more history at Hartlepool’s Headland, site of that 7th century monastery, still partially shielded by 14th-century town walls and armed with a Victorian battery. 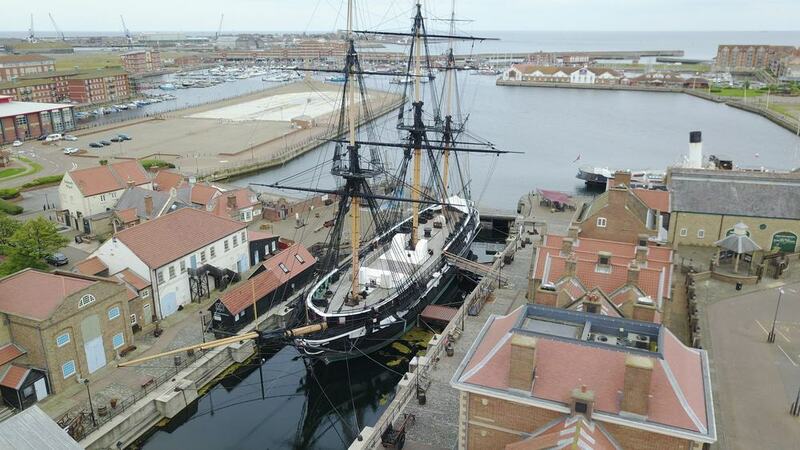 Previously called “Hartlepool’s Maritime Experience”, this attraction in Hartlepool’s Marina is a detailed reproduction of a naval seaport from 1800. It will be hard to believe, but up to the 1990s these were just disused docks for Hartlepool’s former shipbuilding industry. There are rows of period-style houses, a Guard Room and Marine Barracks. In the traditional shops you’ll see how printers and tailors earned a living. The sight that will catch your eye immediately is HMS Trincomalee, a genuine frigate launched in Bombay, India in 1817. There’s plenty to keep people of all ages occupied, whether you’re playing an old-time game of skittles on Skittle Square or experiencing the mayhem of a gun battle at sea, while kids can cut loose at the Children’s Maritime Adventure Centre. Britain’s oldest warship still afloat, HMS Trincomalee is docked on the Historic Quay at the National Museum of the Royal Navy. Although this Leda-class sailing frigate is 52 years younger than HMS Victory in Portsmouth, it is still in the water as opposed to Lord Nelson’s flagship, which is in dry dock. 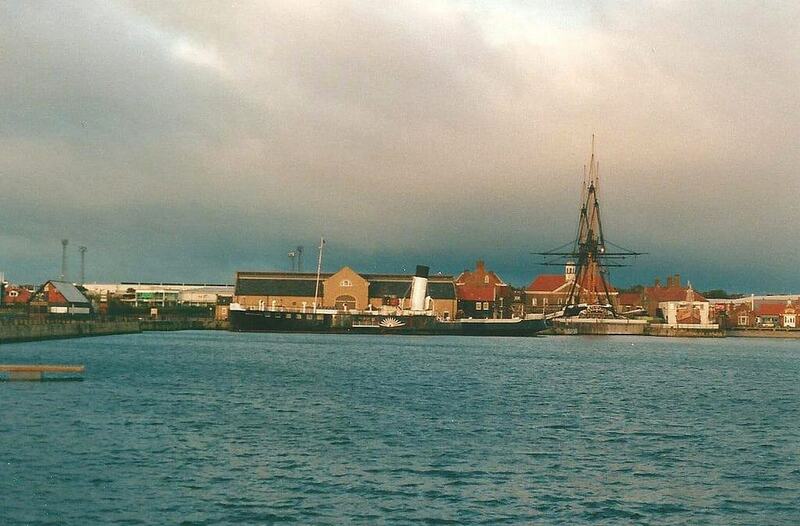 Towed into Hartlepool in a decrepit state in 1987, the ship has become a real emblem for the town after coming through a long-term restoration in 2001. You’ll get to see every inch, from the captain’s cabin to the hold, led by a well-informed guide in period costume, telling stories from when the ship was in an anti-slavery patrol in the mid-19th century. Before boarding, see the HMS Trincomalee Exhibition, which shows how young men were forcibly recruited or “press ganged” into the Royal Navy. Thrusting out into the North Sea on the east side of town is Hartlepool’s Headland, composed of magnesian limestone. 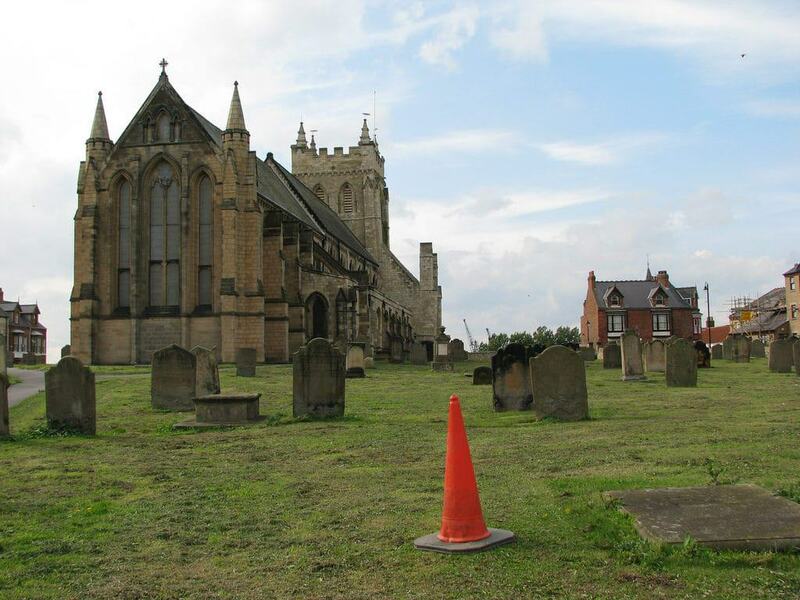 One of the UK’s earliest Christian communities, the 7th-century Monastery of St Hilda was found at this very location. This was ransacked by the Danes around 800 and eventually the Medieval Church of Hilda was built in its place. Given its prominent position on the coast, the Headland has long had a defensive role, as you’ll know from the 14th-century town wall and the Victorian Heugh Battery. Just next door is the Town Moor, scene of the Headland Carnival, which brings more than 100 fairground rides and amusements at the start of August each year. One of three batteries built in 1860 to prepare Hartlepool for an attack from France, the Heugh Battery is on the eastern tip of the Headland. At that time Hartlepool was a burgeoning port with a growing shipbuilding industry. The Heugh Battery has the distinction of being the only British gun battery to have been called into action in the First World War, during a raid on the North East coast by the German Navy during the First World War. 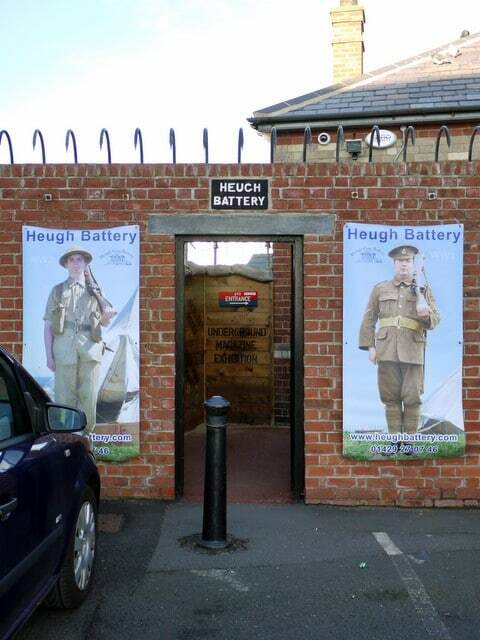 Since closing in 1956 the Heugh Battery has been kept as a museum, open Thursday to Sunday, displaying an excellent weapon and uniform collection in the armoury but also showing the inner-workings of a coastal defence. You can explore the underground magazines and climb up to survey the North Sea from the observation point tower. 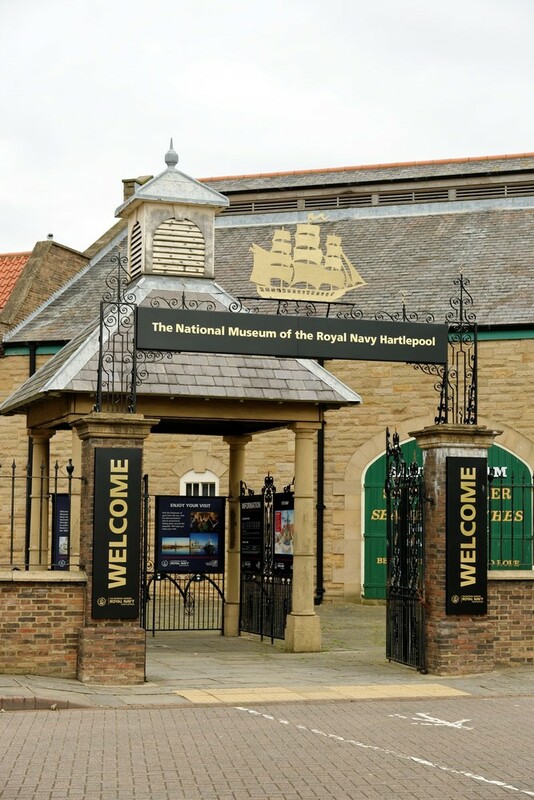 Within the National Museum of the Royal Navy, the Museum of Hartlepool is a free attraction recalling the town’s past from a few different angles. You’ll get to the bottom of Hartlepool’s “monkey hanger” legend and separate fact from fiction, but more importantly there’s a wealth of maritime artefacts. You can check out the first ever gas-illuminated lighthouse light, climb aboard a regional coble fishing boat and discover a disturbing fake merman skeleton made in the Victorian period. There’s a replica of an Iron Age roundhouse, lots of models and interactive displays, while moored outside at Jackson Dock is the Hartlepool-built PS Wingfield Castle, which we’ll cover later. One of the more recent attractions set up at the National Museum of the Royal Navy, the Fighting Ships Experience reveals the ins and outs of life on board a warship in the year 1800. Conducted around the fictional HMS Prosperity by the ghost of a Powder Monkey (a member of staff in costume), you’ll find out about the grim realities of the Napoleonic Wars. There are tableaux for the many different corners of this recreated ship, from the gun ports to the officers’ wardroom, with no detail spared on how wounds were treated and how members of the crew were buried at sea. Protecting the south side of the Headland is the wall that has been in place since the 14th century. This was built in the reign of Edward I in preparation for war with Scotland’s Robert the Bruce. Before they could be completed Hartlepool was attacked and looted by the Scottish knight Sir James Douglas. Leading down to the beach near the wall’s southeast end is the late-14th-century Sandwell Gate, with hardy buttresses on the seaward side. Closer to the Heugh Battery, pointed out to the North Sea is a 19th-century cannon captured from the Russian Army during the Siege of Sebastopol (1845-45). A functioning church but also a visitor centre for the Headland, St Hilda’s is on the site of that 7th-century monastery. The oldest architecture here now is from the early 1100s, and this was incorporated into a newer building completed at the very start of the 13th-century. Take a while to explore, as there are lots of Medieval details, like the mid-12th-century vegetal capitals on the western doorway and the 13th-century Galiliee Chapel, adjoining the west side of the tower, dating from around the same time. On the south side of the nave there’s a 12th-century round doorway with two orders of Norman lozenge and chevron mouldings. The visitor centre in the church has interactive screens and short films about the storied history of the Headland, recalling the troubled story of the monastery and the story of the de Brus family, which used the church as a funerary chapel. North East England’s biggest independent brewer has been based in Hartlepool since 1865. 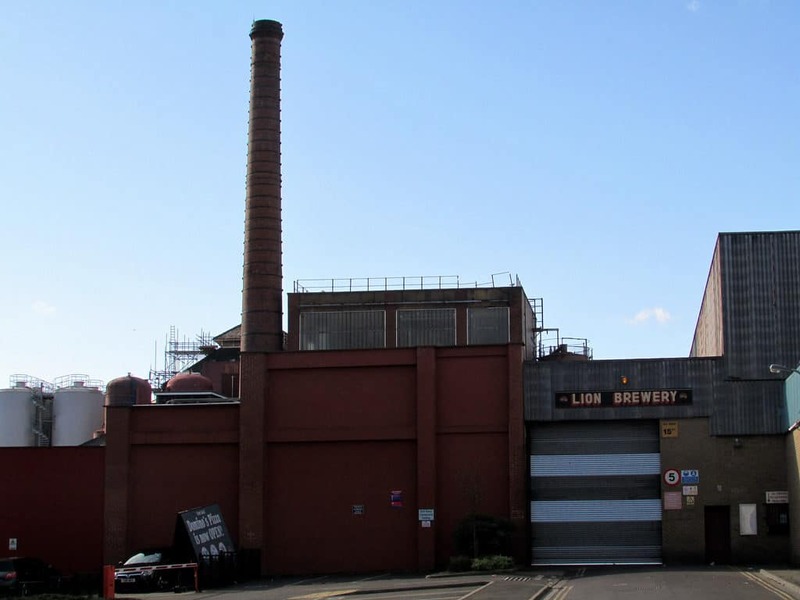 The Lion Brewery, as it’s known, dates back mostly to the 1890s and with a capacity of 1.5 million hectolitres is among the top ten in the UK. The flagship red bitter, Strongarm, is poured at pubs around the country. You can go behind the scenes at the Lion Brewery Monday to Thursday. There are some remarkable things to see, like the brewhouse, which is lined with Italian marble, and a well that sinks 76 metres into the earth. Information boards outline every step of brewing ale, from grain to glass, and all your questions will be answered by an expert brewer. Afterwards there’s the Brewery Tap where you pick from a range of ales, including the famous Strongarm. On the way to Middlesbrough, 15 minutes south of Hartlepool, RSPB Saltholme is a wetland nature reserve on the north ban of the River Tees. There’s a medley of habitats at this site, like wet grassland, a meadow and open pools. But the value of RSPB Saltholme lies in its reedbeds, which offer shelter for bird species like reed buntings and reed warblers. The natural spectacle changes with the seasons, but autumn is a treat, when green sandpipers and black-tailed godwits pause on their long migrations, while massive flocks of lapwings and golden plovers show up to spend the winter. There’s a welcoming visitor centre and family discovery centre, to show first-time birdwatchers the ropes. Here you can check out the “Seal Cam”, to watch the seals that swim up Greatham Creek at the north end of the reserve. Laid out in 1883 to commemorate the entrepreneur and founder of West Hartlepool, Ralph Ward Jackson (1806-1880), Ward Jackson Park is replete with original Victorian and Edwardian features. The arcaded Lodge House has been here since the park was opened. The bandstand and fountain arrived at the very start of the 20th century, and most of the recently restored landscaping is Victorian. It all adds up to a genteel place to spend an hour or two, ambling by the model boat pond, taking children to the playground and finishing up with a cup of tea at the cafe. 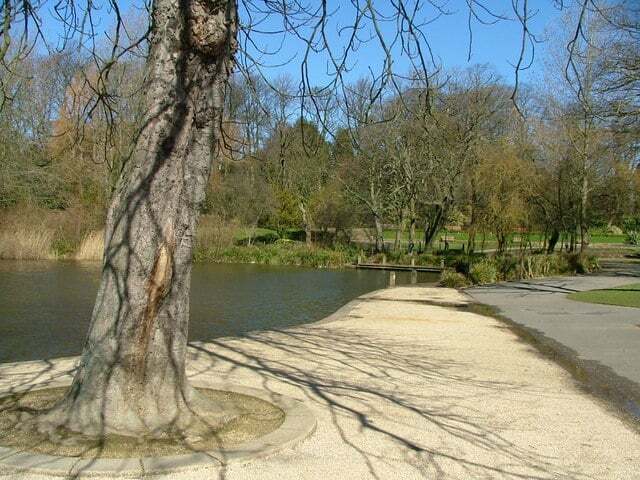 In 100 acres on the western edge of town, the Summerhill Country Park is both a centre for outdoor activities and a Local Nature Reserve. 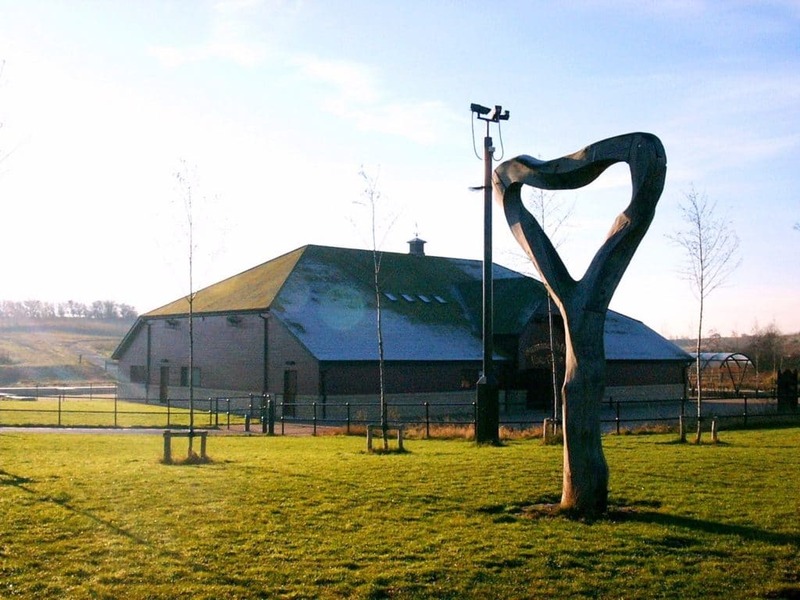 The visitor centre organises activity sessions for high ropes adventures, archery, rock climbing, orienteering, team-building games and nature experiences. Cyclists can make the most of the Hartlepool Cycle Clinic, offering free repair service and bike maintenance lessons, while there’s a free to use BMX track. Climbers have eight different boulders to take on, while if you’re visiting for more leisurely reasons you’ll find a lot of outdoor art and an authentic replica of a Iron Age roundhouse. In the nature reserve are two ponds with viewing platforms, and you can warm up on a chilly day at the cafe in the visitor centre, open seven days a week. 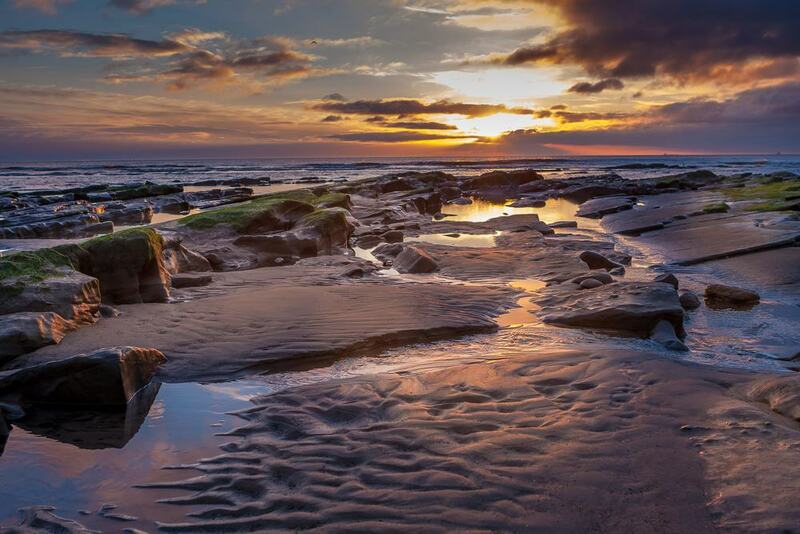 Three miles by road, or one stop on the train, the small seaside resort of Seaton Carew has a huge North Sea beach. Starting in the 1700s, Seaton Carew became a fashionable escape for the North East’s Quaker families. The stuccoed townhouses on the seafront and the Edwardian seafront promenade hark back to this period. All the amenities you’d expect from the English seaside, like amusement arcades, ice cream parlours and fish and chip shops await at Seaton Carew. In the unforgiving, windswept dunes behind the beach is the 22-hole Seaton Carew Golf Club (1874), the tenth oldest golf club in England. Not a challenge to take lightly, but an unforgettable round of golf. At Jackson Dock there’s another museum ship to board. The PS Wingfield Castle was built here in Hartlepool by William Gray & Company in 1934. Serving as a Humber Ferry, this paddlesteamer crossed the River Humber between Hull and New Holland in Lincolnshire up to 1974, not long before the Humber Bridge was completed. The boat had a varied career for the next decade, and was even used as a set in the Elephant Man (1980) before being brought back to Hartlepool and restored. There’s a cafe on board, and you’re free to look at the boiler, engine and stoke holders through large panels. 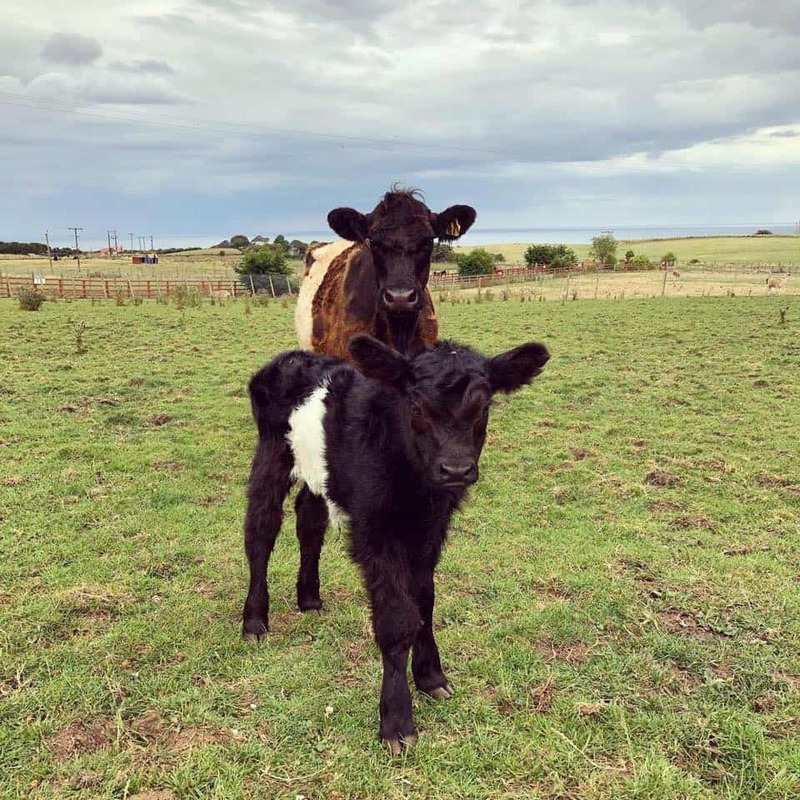 A change of pace from Hartlepool’s maritime attractions, Tweddle Children’s Animal Farm offers a few hours of rural fun for the littler members of the clan. 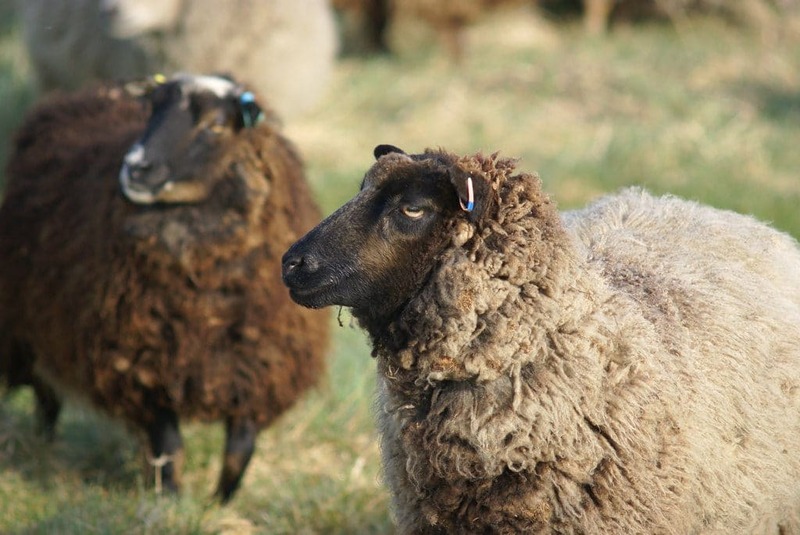 Here they’ll be able to interact with a host of domestic animals, hand-feeding goats, shetland ponies, llamas and more. There’s also a “Baby Barn” petting centre, which has a rotating cast of pigs, ponies, alpacas, llamas, chicks, calves, miniature donkeys, lambs and kid goats, all depending on the season. Other facilities include an indoor play area with ball-pit, go-karts and crazy golf, while tractor-pulled barrel rides take place three times a day.